On August 25, 1894, Fred A. Jeffers and Cora Doolittle, his classmate from the Michigan Normal School in Ypsilanti, Michigan (now Eastern Michigan University) were married. They had graduated together in 1891. Fred became Superintendent and Cora Principal of the Adams Township School District (ATSD) in September 1894. They would serve in these capacities together for 55 years until the passing of Mrs. Jeffers on March 29, 1948, two days before her 78th birthday. The first graduating class from the ATSD occurred in 1897. There were only 8 graduates in this class and the high school was still located in Atlantic Mine. The first graduating class from Painesdale/Jeffers High School occurred in 1910 and had 13 graduates. 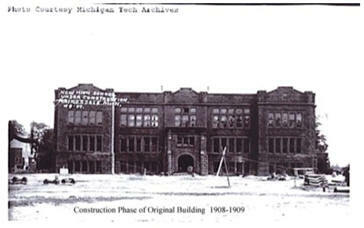 During the 1909-1910 school year, the ATSD had 47 faculty members, which included the elementary schools. During the peak enrollment years in the early 1920s, Adams Township had 7 elementary schools: Painesdale, Trimountain, Baltic, South Range, Atlantic Mine, Toivola, and Michigan Smelt Works. 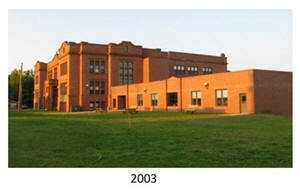 These elementary schools were served by the Painesdale High Schools. In addition, Students from Stanton and Elm River Townships, as well as Bohemia Township in Ontonagon County, attended the Painesdale High School. During this period, enrollment was near 2,500 students, with 73 faculty members. We know that the ATSD was second in size only to the Calumet School District. Because school board minutes are missing from 1919 to 1943 and other records are difficult to interpret, exact details are sometimes unclear. We do know for certain that the enrollment was 2,322 students in 1918 and that it had fallen to 1,420 by 1941. The ATSD's lowest enrollment was 405 during the 2006-2007 school year. 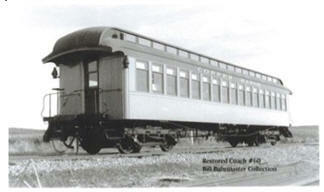 The Copper Range Railroad transported high School students from the Range towns to Atlantic Mine from 1907-1909 and then to the High School in Painesdale from 1909-1945. Additionally, students from the Mill Town areas of Northern Stanton Township were also transported to the Painesdale High School from 1909 through 1941. 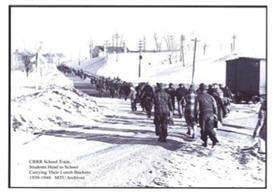 After 1941, students from the Northern Section of Stanton Township were bused to the Portage School District. We know of no other regular school train service in Michigan or perhaps the nation-at least no system which functioned for 48 years. From 1894, when Fred A. Jeffers became Superintendent and Cora Doolittle Jeffers became Principal of the ATSD, through the present time, there have been only 8 superintendents in Adams Township. Jeffers served for 56 years, 1894-1950. One superintendent served for only 1 year, and another served 2 terms, from 1982-1999 and again from 2006-2010. 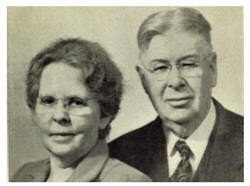 The Jeffers' were the longest "teaching couple" ever recorded; teaching together from 1894 until Cora's death in 1949. The Painesdale High School was renamed the Jeffers High School in 1949 to honor these dedicated educators. From 1897 through 2010, 4,657 have graduated from the Painesdale/Jeffers High School. Having the same building in operation and also in great condition from 1909 to the present is also noteworthy. The building was designed by Architect A.C. Eschweiler, one of Milwaukee's most famous architects. The design and architecture of the building is a prime example of the architecture of the period. It is studied and marveled at by architectural anthropologists, including Kim Hoagland, of Michigan Technological University. The cost of the original structure, built in 1908-1909, was $100,000. This amount was voted upon in an election on April 29, 1907. Twelve persons voted in this election-all in the affirmative. 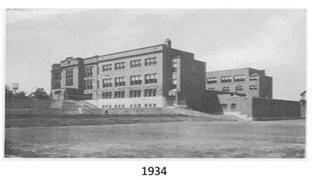 The building was doubled in size in 1934, adding two wings, a gymnasium and a swimming pool. Presently, the ATSD has only two rather than eight facilities. 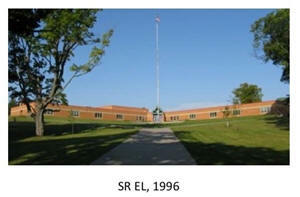 The present elementary school was opened for classes on April 15, 1996, while Patrick Rozich was Superintendent. The last addition to the Jeffers High School, completed on August 13, 2003 during the administration of Dan Sternhagen, was necessary to comply with barrier-free regulations. The Jeffers High School Alumni Association was established in 1949. Since that time, there has been an Annual All-School Alumni Reunion in the summer. The Alumni Association has provided funding for many ATSD projects over the past 60 plus years and provides a scholarship each year for a student entering the field of education, named in honor of J. Henry Dunstan, the districts' second superintendent. Another accomplishment during the Dan Sternhagen administration was the establishment of the Adams Township School District Foundation, Inc. It provides not only scholarships, but it is also an endowment program to provide funds for teacher and student inspired programs needing financial help. It has an active board of directors that oversees over $2,000,000 in assests. If properly promoted and monitored, this instrument can be the support needed to keep the ATSD viable. In 2008, the Adams Township Board of Education (ATBE) agreed to sponsor the Sarah Sargent Paine Historical Research Center (SSPHRC) and allows them to be located in the Jeffers High School. The organization strives to preserve and share the rich history of Adams Township and surrounding areas, especially the proud history of the Adams Township Schools. Faculty and students are participating in updating alumni mailing lists, collecting written and photographic materials from the past as well as participating in an Oral History Program. The SSPHRC is also involved in fund-raising activities which support the ATSD Foundation. 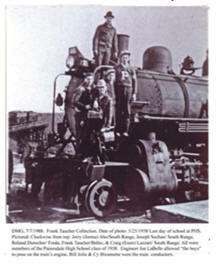 The SSPHRC has produced a CD of all class pictures from 1897 through 2009. They are presently digitizing the school yearbooks, the Chronoscope, from 1951 through 2010. The 1951-1960 and 1961-1970, volumes of the DVDs will be available soon. All proceeds from the sale of these items go into the Foundation. In 2010, an all inclusive book entitled Adams Township Schools-Over a Century of Excellence, was coauthored and published by Dr. Frank C. Rugani and Nancy M. Rugani, both of whom are 1958 graduates of the Jeffers High School. All proceeds from the sale of this 270 page book also go to the Foundation. It is not only the bricks and mortar that has made Adams Township Schools so respected over the years, but also the dedicated staff and innovative administrators. F.A. Jeffers began the tradition by serving on township and county boards of education and later the State Board of Education from 1915-1933. When the Intermediate School District concept became law in 1962, Adams Township was the fiscal agent for some of it's programs. Adams Township also cooperated with the Portage Lake-Range Area Community Schools Project in the late 1960s. This program was funded by the Mott Foundation of Flint, Michigan. Students participated in programs such as a Winter Olympics Program and Spelling Bees. Even more importantly, 168 adults were granted high school diplomas between 1968 and 1984 in Adams Township because of this program.